Although I have been getting better at falling asleep at a reasonable time, I’m still not getting the rest I need. What’s a gal to do? Why, pack on the concealer to hide the bags under your eyes, of course! 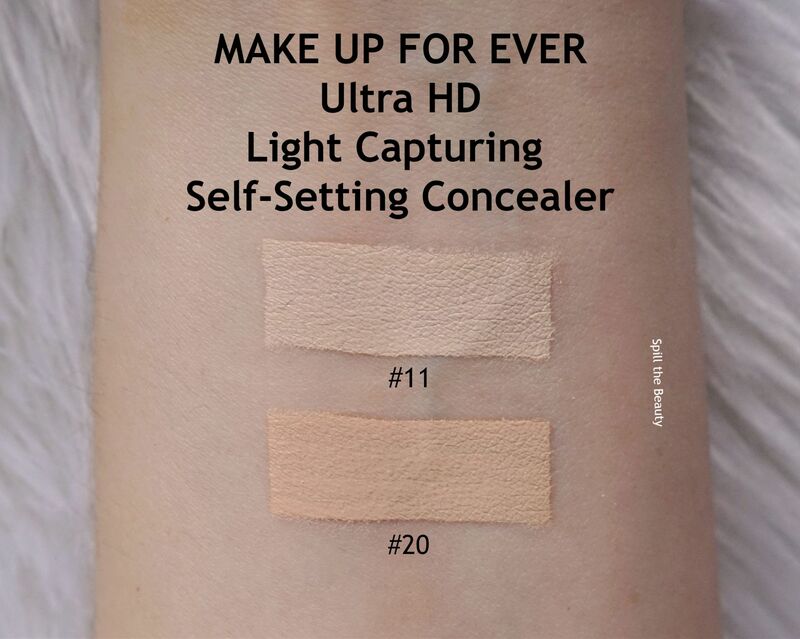 The MAKE UP FOR EVER Ultra HD Light Capturing Self-Setting Concealer is supposed to be the latest innovation in concealers – no powder required. 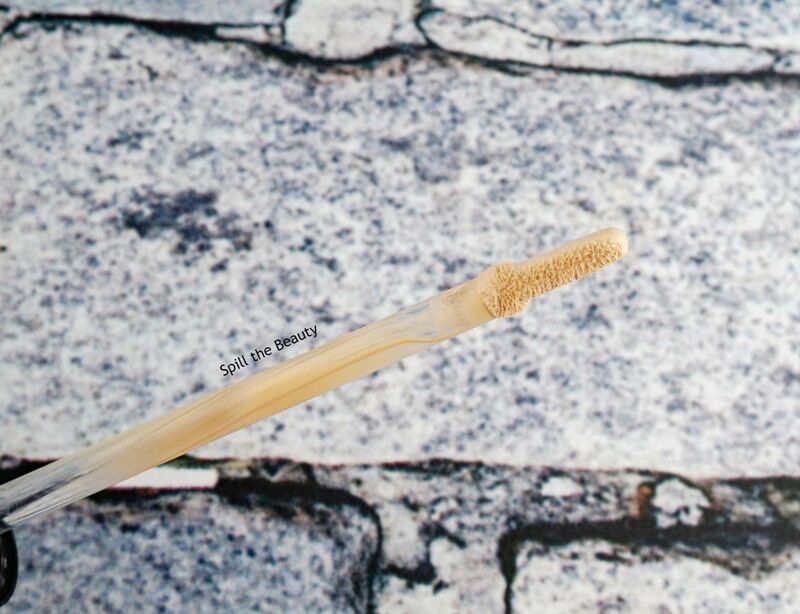 It comes in a standard clear tube, containing 5 ml of product with a pinched doe foot applicator. 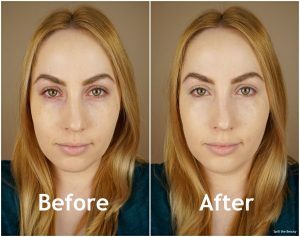 I’m not the type to prime my eyes with concealer because it just cakes up on my lids, but for the purposes of this review and to see if it cancelled out redness, I applied it to my lids. 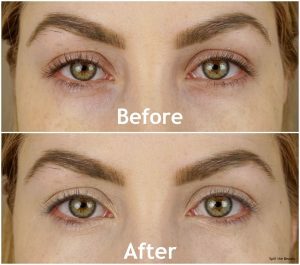 Just like many concealers that came before, my eyelids just didn’t agree with it, but I don’t fault this product as this is the norm for me. 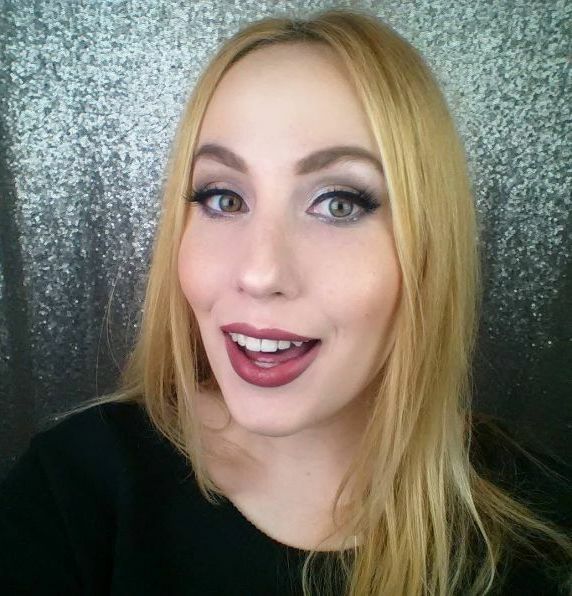 What stood out to me was that the same patchiness and cakey-ness I saw on my eyelids also occurred on my inner corners, which is a big red flag for me. As you can see in the eye closeup below, especially on the eye on the left, the coverage on the inner corner isn’t looking even or smooth….pretty cobblestone-like. I applied this concealer with a slightly heavy hand to see it at its best, but loading it on just didn’t work with the formula. It set pretty quickly, which I found out the hard way when I tried to blend one eye and then the other. The formula was already close to being set and was pretty gunky. It didn’t need a powder to set it, as it set on its own with a nice powdery finish. That being said, at the end of the day, I did see creasing when I got up close to the mirror. 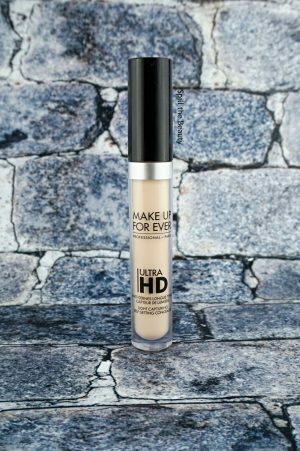 While this concealer isn’t good for packing on and hiding your lack of sleep, I found it is best used when applied super lightly. 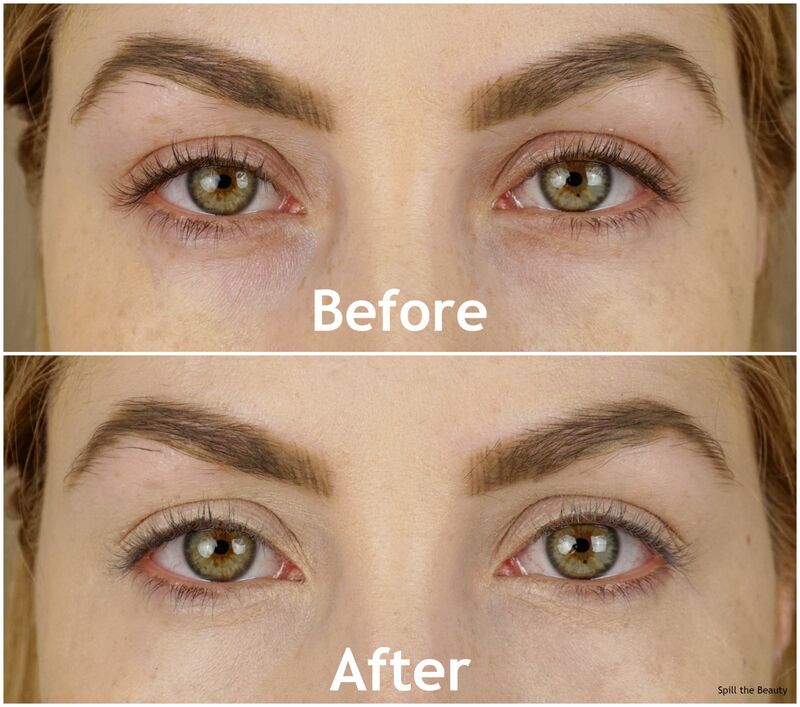 Sure, you won’t get absolute coverage or colour-correction, but if you only need to conceal your under eyes a little bit, this product is worth considering. 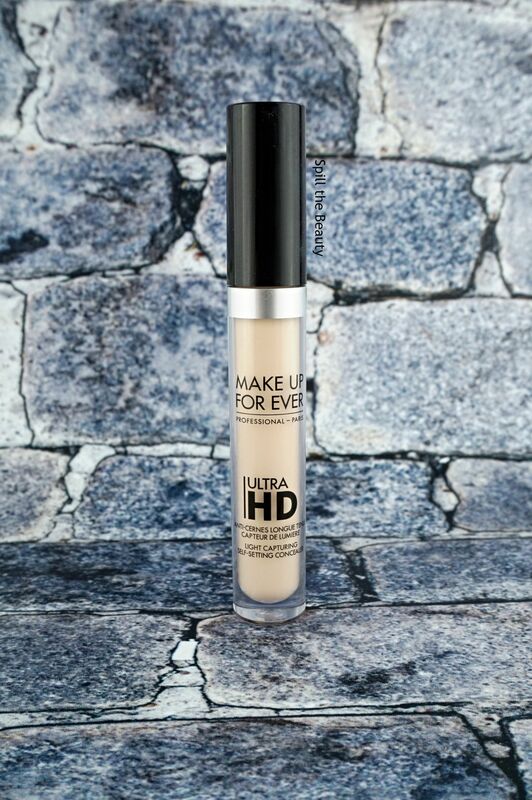 So….is this the concealer I’m going to reach for to hide the blue circles around my eyes? No. Is this the concealer I’ll lightly dab on my under eyes on light makeup days? I’m still iffy on if it will replace my Maybelline Fit Me Concealer, but I’ll put it on my beauty battle station and see which concealer my hand reaches for first. 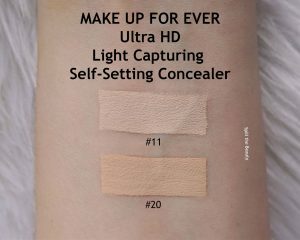 If you want to check out the MAKE UP FOR EVER Ultra HD Light Capturing Self-Setting Concealer, you can find it online and at Sephora. Next Post What’s In My Makeup Travel Bag?